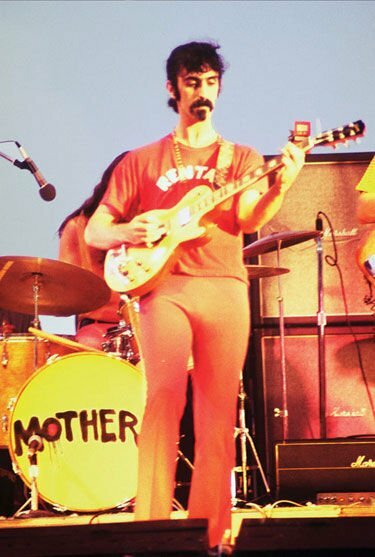 The late great Frank Zappa in Mays Landing. The Atlantic City Pop Festival was the forerunner to the Woodstock Festival, which took place 12 days later in the summer of ’69. ATLANTIC CITY — Twelve days after Neil Armstrong and Buzz Aldrin took mankind’s initial steps on the moon, Atlantic County braced for another first — the staging of the Atlantic City Pop Festival. Over the three-day weekend of Aug. 1-3, 1969, drumbeats would replace hoof beats at the festival site, the Atlantic City Race Course in Hamilton Township. Festival producers Herb, Allen and Jerry Spivak, Shelley Kaplan and Larry Magid envisioned an event that featured top-flight entertainment along with about 70 craft and food booths in a relaxed, outdoor atmosphere. An impressive range of talent ranging from A (American Dream) to Z (Frank Zappa) was booked. The roster of acts spanned the musical spectrum from American rock (Jefferson Airplane, Creedence Clearwater Revival, Captain Beefheart), the blues (B.B. King), British rock (Procol Harum, Joe Cocker), R&B (Booker T. & The MGs), singer/songwriters (Tim Buckley, Joni Mitchell) to ‘50s rock ‘n’ roll (Little Richard). Other acts were initially booked (Crosby, Stills and Nash, the Moody Blues) and featured in advertising and on T-shirts, but did not appear at the festival. In his book, My Soul’s Been Psychedelicized – Electric Factory: Four Decades in Posters and Photographs (Temple University Press), Magid credited Spivak with sealing the deal for the racetrack as the site of the festival, the first major one on the East Coast. Not everyone was eager to see the festival come to southern New Jersey. One merchant, upset at the prospect of young people descending on Atlantic County, suggested the words “Atlantic City” be deleted from the festival name since it would tarnish the image of the region. Security was tight for the festival. Police officers in Pleasantville and Atlantic City worked 12-hour shifts. On the racecourse grounds, 100 private security guards kept watch to ensure the racecourse would be able to open for thoroughbred racing season on Aug. 8, five days after the festival ended. State troopers were stationed at nearby Oakcrest High School as precaution if problems developed. The festival’s lineup served as a magnet, attracting fans not only from the tri-state area, but as far away as Florida, California and Canada. Ticket prices were reasonable — $6 for one day or $15 for the entire weekend. The festival was a sellout with 40,000 in attendance each day, Magid noted. In the end, the musicians were the glue that kept the festival together with their performances. Procul Harum’s show on the first was a highlight, spotlighting the guitar work of guitarist Robin Trower and organist Matthew Fisher. The biggest disappointment of the festival came on the opening day when Mitchell walked off the stage, midway through the fourth song of her set. Mitchell believed the audience was not listening to her as she sang the same verse twice during “Cactus Tree” without any reaction. “I’m sorry I can’t play anymore,” she said in halting her performance. The pace of the festival went smoothly, Magid noted in his book, thanks to a stage designed by Buckminster Fuller that revolved on a turntable to allow the acts to go on without delay. Click here for a photo gallery of images by Peter Stupar (peterstupar.com) and other items related to the Atlantic City Pop Festival. The biggest disruption in the festival — aside from three days of on-and-off rain — came when no one was on stage. A small group of concertgoers who camped at the site ransacked the merchants’ area, stealing an estimated $20,000 worth of musical instruments, albums and related merchandise. The festival ended harmoniously with memorable closing performances by Janis Joplin and Little Richard. Twelve days later, the Woodstock Festival kicked off in New York and became the festival most associated with 1969, thanks to a documentary film and two soundtrack albums. Silent footage of the Atlantic City Pop Festival can be seen on YouTube, but the memories play on in the minds of those who were there that August weekend. Stupar, who has been working on a book of photographs from the festival, says those who are interested in photos from the festival should check the photo gallery on his Web site. (All photos copyright Peter Stupar 2011. Photos are available for purchase by e-mailing the photographer at pstupar@aol or via his Web site peterstupar.com).